ARLANXEO will make its debut at the K2016 show this year, held from 19-26 October in Düsseldorf, Germany. The newly formed joint venture company for synthetic rubber faces the world stage at K, representing a diverse range of synthetic rubber applications focusing on new products, mobility, leisure and green sectors at its Booth: 6C78. It may be a new kid on the block, but ARLANXEO, a 50:50 joint venture formed in April this year between German chemicals speciality firm LANXESS and Saudi Arabia’s global energy and chemicals enterprise Saudi Aramco, already has 100 years of experience in performance elastomers. With 20 production sites in nine countries, and a 3,800-strong global workforce, ARLANXEO, now headquartered in Maastricht, the Netherlands, had global sales of EUR2.8 billion in 2015. The business comprises two units: Tyre & Speciality Rubbers (TSR) and High Performance Elastomers (HPE). The company's HPE unit produces 655,000 tonnes/year of technical rubbers that include hydrogenated nitrile butadiene rubber (HNBR), ethylene vinyl acetate (EVM), ethylene propylene diene monomer (EPDM) and chloroprene rubber (CR). 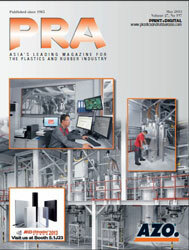 These materials have a wide range of industrial applications. For example, they are used as modifiers for plastics and adhesives, in gas and oil exploration components, and in functional components for the automotive and cable industries. Meanwhile, the TSR unit produces 1.4 million tonnes/year of Butyl Rubber (BR) and polybutadiene rubber/styrene butadiene rubber (PBR/SBR) that focus on a broad portfolio for tyre applications. These are used primarily in inner liners, treads and sidewalls of modern, fuel-efficient tyres as well as non-tyre applications such as chewing gum, sports and golf balls, hoses and conveyor belts. The company is highlighting its Levapren EVM polymer with integrated sensitivity to high temperatures; Therban HNBR for superior performance at a high temperature range; and Baymod N functionalised nitrile rubber grades, compatible with a variety of different base polymers. The halogen-free Levapren is a radical solution polymerisation with good physical properties; with flame retardancy achieved by adding specialised fillers. It has excellent resistance to weather, ageing, UV, ozone, and heat of up to 175°C. It also has a balanced oil resistance, low temperature properties through proper choice of vinyl acetate (VA) content. In fact, ARLANXEO is the only global EVM supplier to offer VA in the range of 40-90 wt%. 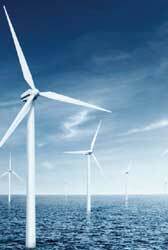 Thus, the polymer is ideal for wind turbine applications. Therban HNBR is designed for demanding applications requiring exceptional durability in aggressive environments, in particular fuel-saving engine and car body designs as well as the oil exploration industry. It also caters to challenging applications for railway and aerospace industries, as well as mechanical engineering. It has exceptional resistance to technical oils, abrasion, heat, ozone, fuel, chemicals, and temperature; and even possesses the ability to function at temperatures from -40°C to 165°C. Moreover, Therban demonstrates good compression set behaviour. A sustainable alternative to metal chain drivers, Therban provides longer service life than articles based on conventional elastomers. Two grades for lower temperature applications will be introduced at K.
Meanwhile, Baymod N powdered NBRs serve as non-extractable and ‘simple to use’ modifiers, benefiting tyre manufacturers, due to the ability to improve the fuel economy of tyres. It has free flowability, ensuring automatic processing; is highly compatible with different polar base polymers (e.g. PVC), while linear grades are soluble in many organic solvents and pre-crosslinked grades provide excellent surface properties required in extrusion processes. Other benefits are: excellent chemical, oil and hydrolysis resistance; remains permanently flexible and elastic while being impact resistant and as an additive has very low extraction of liquid plasticisers. It also has improved coefficient of friction and noise reduction in brake applications. The areas of applications for Baymod N are diverse. It is suitable for friction linings, brake linings and fuel-resistant applications; shoe soles; profiles, cables, sheeting and conveyor belts; and for other industrial applications. At K, a key innovation will be introduced. Research points to fire risk as the second leading cause of accidents in wind turbine, following blade breakdown. During the pre-K show meet in June, Jörg Stumbaum, ARLANXEO’s Manager Technical Marketing CR/EVM, detailed how a useful technology can pose potential hazard at the same time. He said that though wind power is considered to be one of the most environmentally friendly sources of energy, strong electrical currents flow through large wind turbines at voltages of over 500 volts. “Although the risk of fire is not greater in wind turbines than in any other well-maintained technical installations, if fire should break out, for instance because of an electrical short circuit or lightning strike, it is much more difficult to extinguish, since the components that house the generators are very high up in the air. And if a fire does occur, the consequences (e.g. 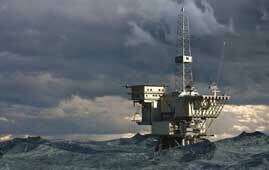 corrosion by halogenic gases) must be minimised as much as possible,” he said. 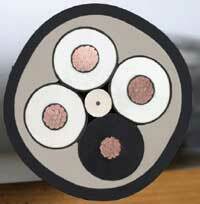 Levapren EVM elastomer is said to be the solution to prevent this risk in alternative energy cable applications. At K, ARLANXEO will, thus, demonstrate how Levapren EVM can help to significantly reduce the spread of fire and the subsequent damage due to hydrochloric acid corrosion in or near generators, therefore, protecting large installations and considerable investments in the event of fire. To be introduced are two specially formulated compounds: Levapren 500 and Levapren 700, ideally suited for use in nacelles of wind turbines, specifically in cable sheathing. Because they contain no halogens, they do not emit gasses normally released by halogen-based materials in a fire. In addition, Levapren EVM grades have comparatively high VA content, which makes them compatible with polar fillers, owing to their high polarity. The two compounds also do not absorb oil or grease from the surrounding machinery, so in the event of a fire, absorbed burning hydrocarbons will not destroy the flame suppressing properties of the cable jacket. Furthermore, the molecular weight of Levapren is particularly widely distributed and wellcontrolled. In addition, it is a gel-free product, which has a positive effect on the processability of the material and the quality of the end-product. At K, ARLANXEO will introduce two new products of Therban HNBR for low temperature applications: Therban LT 1707, a fully saturated grade, and Therban LT 1757, a partially saturated grade. Both grades offer the ability to fulfill stringent low temperature requirements up to -40°C, while at the same time maintaining the high dynamically and heat resistant performance of this rubber. This makes the grades ideal for use in applications in cold regions or in cold media, for example in the oil and gas exploration industry. To meet the market need for a further improved balance between low temperature properties and oil resistance, the company says it is now working with its customers on a new generation of Therban elastomers, which will redefine the Therban application window. It says these products will push the boundaries for low temperature applications well below -40°C, whilst maintaining excellent oil resistance. At K, the company is also presenting its broad portfolio from linear to highly pre-crosslinked powder NBR products, produced by a grinding or spray drying process for use in various applications, including gaskets, brake pads, and PVC modification. Luc Briquel, Technical Marketing NBR, explains: “In PVC modification, typically plasticisers based on phthalic acid esters like DOP are used to make these polymer blends softer. However, over time these liquid substances tend to migrate to the substrate surface, leading to shrinkage and hardening of the articles.” It is for this reason that NBR powders act as non-extractable plasticisers and increase an article’s shelf life. At K, ARLANXEO will introduce a new NBR powder, Baymod NXL 3361, that offers improved colour stability and extrusion properties compared to standard products. Automotive OEMs have to meet stringent requirements for fuel economy and grip. These requirements can only be met by using materials designed to improve the dynamic properties of the tyre. Functionalised rubbers are a very suited and proven way to meet these requirements in combination with fillers and silanes. Therefore, tyre makers are constantly looking for new types of functional polymers to help create compounds that best fit their application developments. Thus, ARLANXEO will be introducing a newly developed technology for the production of functionalised solution rubbers, which is part of the Tyre & Speciality Rubbers business unit. Applicable to both styrene butadiene rubber (S-SBR) and functionalised butadiene rubber, in particular, neodymium catalysed butadiene rubber (Nd-BR), the technology increases the interaction with fillers, helping to improve the dynamic properties of tyre tread compounds. As the filler becomes more easily dispersed into the compound, a more elastic network is built up. This reduces the rolling resistance and thus improves the fuel economy of the tyre. In some cases traction properties can also be enhanced. S-SBR: The new functionalised solution rubber technology represents an upgrade for the S-SBR family – and new grades will be added to the ARLANXEO Buna FX product group, a brand new family of high performance rubbers. The firm also says that different grades, namely high vinyl and high styrene rubbers, are available for customer approvals. Nd-BR: With regard to the Nd-BR types, ARLANXEO says it has researched into several ways to modify and functionalise these grades. As a first result, the easy-to-process Buna Nd EZ grades have been commercialised and are already acknowledged in the rubber industry as being able to provide a good balance between the dynamic properties and the processability of the respective Nd-BR compounds. One of the next major steps in the Nd-BR development will be to introduce a new functionalisation technology on an industrial scale. According to David Hardy, Technical Service and Development Manager at ARLANXEO, functionalising Ziegler/Natta catalyst polymerised rubbers such as Nd-BR is much more complicated due to the side reactions that can occur, one of the reasons there are fewer of these products available in the market compared to S-SBR. But the company has found a technique to control this in a reliable way. Though the new functionalised solution rubbers offer immediate benefits to the tyre industry, in the longer term they can be adopted for use in other applications where excellent dynamic properties are required, for example in conveyor belting, anti-vibration and sport shoe soles applications. Hardy also says that since the introduction of tyre labelling in 2012, tyre manufacturers are looking to produce tyres with improved rankings. 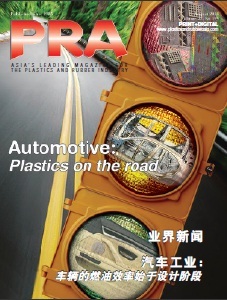 “This can only be achieved by using high performance and functionalised rubbers, particularly in their tread compounds.” He adds that the company’s goal is to apply its extensive R&D capabilities to develop functionalised S-SBRs and Nd-BRs to meet customers’ needs and to outperform rubber grades currently available. ARLANXEO says these are just some of the examples of the way it works with its customers and applies its R&D resources to deliver solutions. All of these will be on show at K2016.